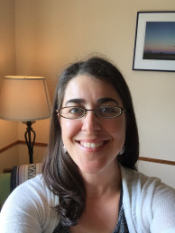 Jessica Kuttner, LICSW, RYT, and LifeForce Yoga Practitioner, has over 12 years of experience in the counseling field. Jess starts from the belief that each client has a self that is larger than their symptoms. With compassion and patience, Jess helps clients identify their strengths and to move through whatever pain has brought them to counseling in order to meet their goals. Jess uses a variety of counseling techniques, such as: mindfulness, cognitive behavioral therapy, motivational interviewing, and dialectal behavior therapy. Jess is a registered yoga teacher in the Iyengar tradition, a LifeForce Yoga Practitioner and has received training on yoga therapy at Kripalu, yoga and the treatment of trauma at the Trauma Center in Brookline, and applications of yoga in social work through B.U. School of Social Work. Jess believes the body is integral in the treatment of many psychological problems and the integration of yoga and psychotherapy is often beneficial in treatment. Jess offers breathing techniques, guided relaxation and restorative yoga postures as a way to manage symptoms and balance the nervous system. Jess accepts many insurance plans and offers a sliding scale for private pay clients.